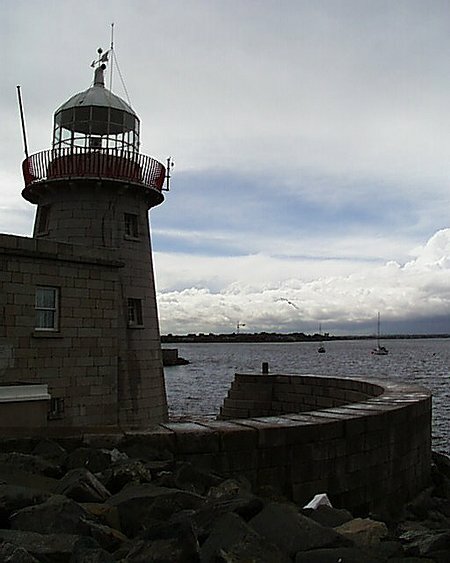 Fine lighthouse on the end of the southern arm of the harbour. 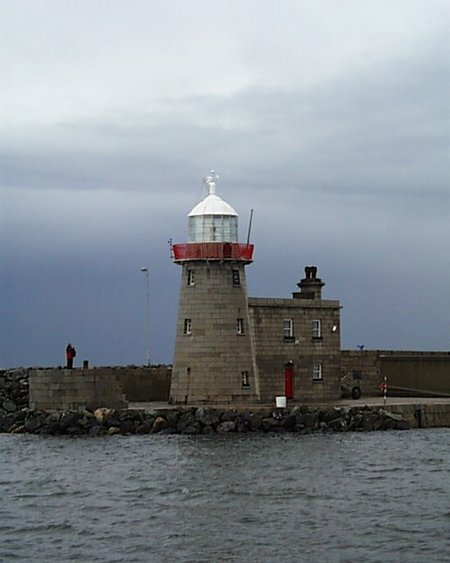 The lighthouse also had a defensive purpose, a circular wall alongside defends a gun position. 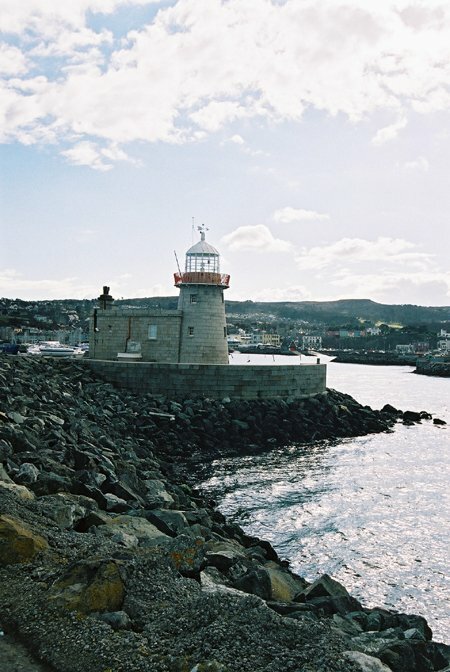 Two-bay two-storey ashlar granite lighthouse keeper’s house attached to south-east. Converted to unattended electric lighting in 1955.